One day when I was attending a meeting in Bali, I had conversation with two businessmen. Later, I browsed their websites mentioned in the name cards they gave me in our meeting. When I studied websites of each businessman, I noticed a marked difference in their approach towards conducting their business just by looking at their websites. I had different impressions about these two businesses. You might wonder what was the difference between them Well, my level of passion, seriousness, professionalism, and sense of security will not be the same with both the businessmen if I sign a deal with them. To be honest, though I do not have a right to judge, one of them is more professional, trustworthy, and serious about his business. This businessman friend had successfully stirred my emotions through conscious and accurate brand identity. 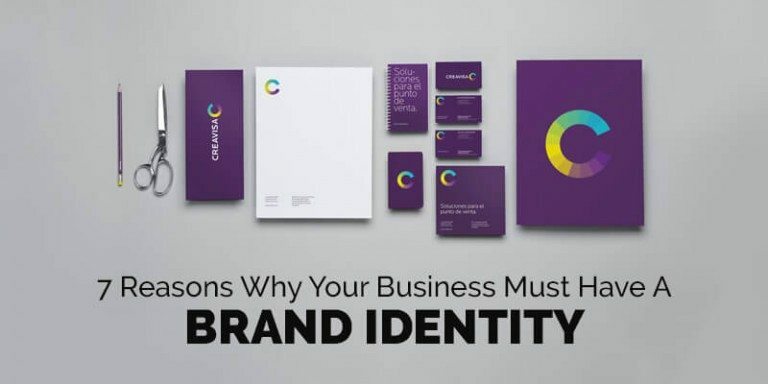 If you are a businessman, an internet marketer, a producer, you must know why you need to have a brand identity of your business. When I strolled with my friend, I asked a question to him. I will ask the same question to you and you have to answer it quickly: what comes in your mind when I say Coca Cola? Your answer might be the same like my friend the red cursive italic letters. You might not remember the factory, the taste, the boss, and others. What you remember must be a part or two from Coca Cola brand identity. How can someone score your professionalism? Besides considering the way you speak, what topic you are engaged in, and how you carry out your work, other trivial things, such as your name card design, letterhead design, and website design will definitely help to create a positive self-image. Is it that building a brand is a task that should be considered well? If you think you are more professional than your competitors, you have confidence to raise your bargaining power. You can get more for the products or designs you offer. One of the obstacles in online transaction is trust. A customer will not have a transaction with a person who cannot give a sense of security. To make a brand identity, someone has to spend some budgets to hire a graphic designer. And the one who has a brand identity is running a sustainable business not a hit and run business. In short, your professional brand identity helps customers trust you. Are you willing to wear a custom T-shirt with a particular company logo that makes you look like an idiot? By no means. Someone will certainly wear things that makes them look better. If your brand identity is good, people will not hesitate to wear it. You will get loyalty from your customers. They will buy your products and services again..again..and again. Brand identity is like a tree. Tree needs to be well-planted and taken care of regularly to grow. It needs time to grow big and known by society. A brand identity works like that. You need to have a good design, let it to grow, and introduce it to society. One day, when your brand is known in society and it has a good image, you will have opportunity to make other products due to brand identity you build. For example, which soda water would you like to buy? Kareem Diet Or Pepsi Diet? Pepsi Diet is more convincing as its brand has a good reputation. And if Pepsi Diet launches a new product, society might believe the drink has good quality as other Pepsi products. Whether we realize or not, having a brand identity is like wearing an outfit. The clothes we choose will define us. And at the end, we realize that clothes is not just clothes, and brand is not just merely a brand. Brand identity is a valuable investment for us. That why, create your brand in a right hand for it will determine your future and the existence of your business. Here have a look at how to creates a brand identity. People will buy something that becomes a solution of their problems. Give them solution and you will have a chance to get sales. However, won your competitor do the same? How can you convince your customers that they will buy from you? The key is trust/credibility and sense of security. Once you get the trust and from your brand identity, people will have confidence to do transaction with you and you will get sales.